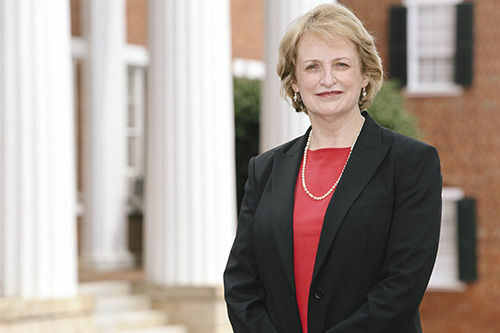 D. E. Lorraine Sterritt, PhD, President of Salem Academy and College, will serve as the keynote speaker at a special Naturalization Ceremony that will be held in Old Salem on July 4, 2015. Naturalization ceremonies are held for people who seek to complete the process of becoming a citizen of the United States. In addition to special music and the Pledge of Allegiance, new citizens recite the Oath of Allegiance and receive certificates. In 1783, the Moravians held the ceremony as a day of solemn thanksgiving for the return of peace following the American Revolution. Born and raised in Ireland, Dr. Sterritt moved to the United States in 1985 after earning her bachelor’s and master’s degrees in French at The Queen’s University of Belfast, Northern Ireland. She continued her education at Princeton University, earning a second master of arts degree and a doctor of philosophy degree in French. She has served as the President of Salem Academy and College since July 1, 2014. The public is invited to attend the ceremony. For more information about attending the Naturalization Ceremony, please visit the Old Salem Museums and Gardens website here. Read President Sterritt's remarks here.